In China, WeChat marketing is a key strategy when it comes to brand awareness. Just recently, WeChat created a buzz in China because of their mini-apps. One of the cool features of mini-apps is the parameterized QR code. It’s the type of QR code that enables marketers to track scans by channels. This means you can check which of your stores are giving you the most scans. Amazing, isn’t it? Scanning QR codes have become a part of everyday life in China. In fact, users interact with these codes at least 10-15 times a day. 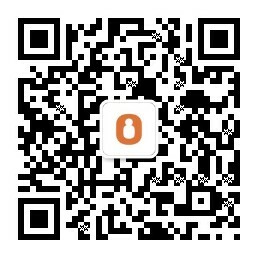 If you’re planning to enter the Chinese market, it’s essential to know what QR codes are and what they can do for you. The Quick Response (QR) code is a two-dimensional barcode that can be scanned with a smartphone. When scanned, it can cause a Web page to download with information about a product, local event or just about anything. QR codes are beneficial to entrepreneurs. Since the codes are versatile, they can be used for advertising, marketing, and even customer engagement. How can I make my own QR code? Choose a QR code generator. The most popular ones are Kayla, goQR, Visualead, and QR Stuff. Design your code. It doesn’t have to be in black and white. You can customize it and elevate the design. Custom QR Codes is a great online tool for creating stylish codes. Test the code. Before you share it with your customers, it’s important to check first if its working or not. You can use a free tool like QR Code Reader to know if your code is ready to go. Make your code easy to scan. Remove as many barriers as possible for people to scan your code. There should be no specific tool or app that they need to download before scanning the code. Your code should be accessible. Putting your code outdoors is a good way to attract scanners. However, it should be at the right place. Your customers shouldn’t have to climb a ladder or stop their cars on the highway just for the sake of scanning. It’s best to put them in bus stations, groceries, or malls for a boost in WeChat marketing. Also, take note of its size when you put it on business cards or flyers. The recommended minimum QR code size is 2×2 cm. Give people a reason to scan. People won’t scan just because they want to. Give them tempting reasons to scan like special discounts, more information, or secret recipes. Whatever it is, your offers must be interesting and attractive enough. Assure the landing page works well. Make sure the landing page or website is optimized for smartphones. Non-mobile friendly landing pages will only frustrate the customers. Analyze its performance. Like other marketing campaigns, you should measure your code’s performance. Are people scanning it? Are your offers enough for them? How much traffic comes from the code? Tracking your codes will help you analyze if you need to change or improve your strategy. Do you use QR code for your business? Are there extra tips you want to share? Tell us in the comments. 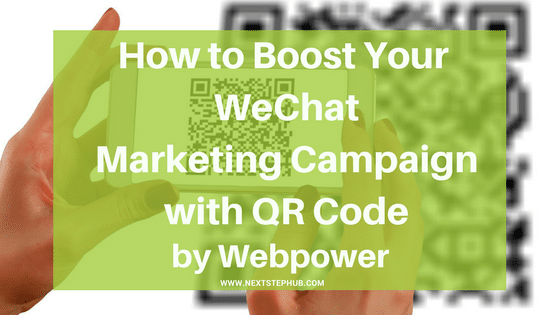 The article How to Empower your Marketing Campaign with QR Code? was written by Webpower. Webpower is a leading provider of marketing automation solution. The company’s mission has always been to help you get to know your online audience and increase your profile on the web. Want to learn more about WeChat Ads? Check out our previous article about How to Create Successful WeChat Ads and Grow your Market Reach.